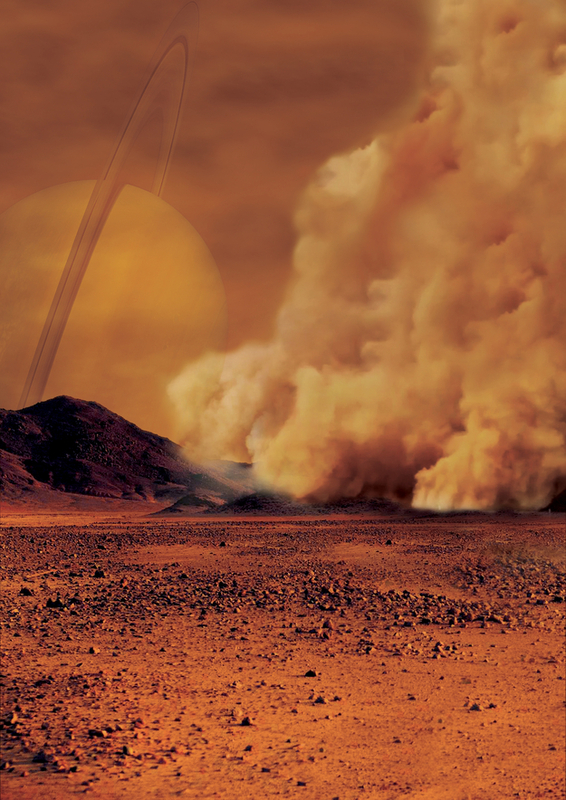 Artist's impression of a dust storm on Titan. Researchers believe that huge amounts of dust can be raised on Titan, Saturn's largest moon, by strong wind gusts that arise in powerful methane storms. Such methane storms, previously observed in images from the international Cassini spacecraft, can form above dune fields that cover the equatorial regions of this moon especially around the equinox, the time of the year when the Sun crosses the equator.